QAR 711 including 12 QAR shipping. The price of the upcoming Samsung Galaxy S6 Edge is still a mystery. However, it’s expected to cost less than the Galaxy Note Edge, around $ QAR 2700 . The Samsung Galaxy S6 Edge Qatar price is expected to be similar or slightly more than the USD price tag, about 2800AED or SAR (~5600EGP). 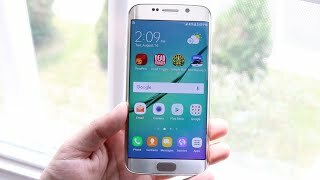 The Samsung Galaxy S6 Edge release date Qatar is expected to be in March or April, 2015. The Samsung Galaxy S6 is here, and it’s not alone. 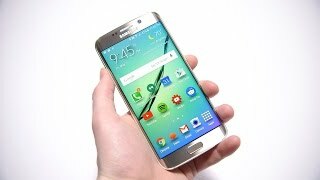 The Samsung Galaxy S6 Edge is the Edge version of the popular Samsung flagship device. As the rumors suggested, the phone includes edge display on both sides unlike the Galaxy Note Edge. This is the only major difference design-wise compared to the Samsung Galaxy S6. Keep reading to know more about the Samsung Galaxy S6 Edge Qatar price, release date and more. The Samsung Galaxy S6 Edge looks very attractive with a thickness of only 7mm. Unlike most of the recent Samsung smartphones, the design is quite unique. Those old faux leather and cheap plastic cover is not there anymore and both the front and back side now features Corning Gorilla Glass 4. It’s 142.1x70.1mm in dimensions and weighs 132g. Once the Samsung Galaxy S6 Edge release date Qatar is here, it’s expected to be available in four different colors: White Pearl, Green Emerald, Black Sapphire and Gold Platinum. You can also check out the Samsung Galaxy Note Edge or the Samsung Galaxy S6 here. Just like the Samsung Galaxy S6, the Samsung Galaxy S6 Edge features a 5.1-inches Super AMOLED screen showing 2560x1440 pixels resolution which is a big improvement from 1080p displays. The screen will be showing 576ppi of pixel density which means crisp and strong display. It will be running Android Lollipop out of the box. The phone is sporting Exynos 7420 under the hood and will be accompanied by 3GB of RAM. There is no microSD card slot to expand its memory but there are three different storage options to choose from: 32, 64 and 128GB. If you are looking for a phone with big screen, you can check out the Samsung Galaxy Note 4 or the iPhone 6 Plus or wait for the Samsung Galaxy S6 Edge Qatar release date Qatar. While the 16-megapixel rear camera doesn’t really sound like an improvement megapixel wise, it’s quite better than the one in the Samsung Galaxy S5 and launches in just 0.7 second. The front camera is a 5-megapixel one and the home button includes a better fingerprint scanning technology. The phone features quick charging technology which means you can expect to charge 30% of the phone in just 30 minutes. However, the battery is not removable anymore and a 2600mAh battery doesn’t sound big considering its specs. If you are waiting for a phone with bigger battery, you can check out the Lenovo Vibe P1 or Lenovo Vibe P1 Pro. However, if your phone camera is also important to, checking the Samsung Galaxy S6 Edge Qatar price will be a good idea. 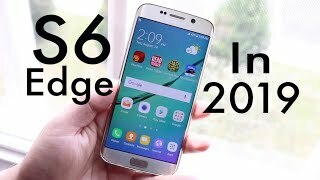 The Samsung Galaxy S6 Edge is expected to be available on April, 10 which means the Samsung Galaxy S6 Edge release date Qatar will be sometimes in April, 2015. The next big thing from Samsung, the Samsung Galaxy S6 is expected to show up soon given their previous record of unveiling flagship devices in February or March. It was expected to show up at the CES 2015 but Samsung only focused on home appliances and televisions this year. 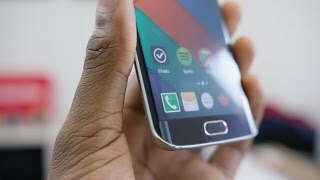 However, the smartphone has already made some appearance via leaks and rumors and it is believed that the upcoming Galaxy S6 will feature a side screen like the Galaxy Note Edge and will be called the “Samsung Galaxy S6 Edge”. 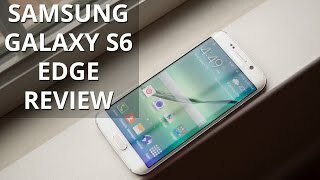 Continue reading to learn more about the Samsung Galaxy S6 Edge Qatar price, release date and specs. After disappointing us with the design of the Samsung Galaxy S5, Samsung is planning to build a design completely from scratch. It will feature metal or other similar premium material instead of the plastic back and might show some similarity in design with the Samsung Galaxy Alpha. As the name suggests, the phone will feature an edge display. Some rumors are suggesting that the phone might feature three sided displays. So far, what we can guess from the rumors and leaks is that the upcoming phone’s screen size will be ranging from 5.3-inch to 5.5-inch showing Quad HD display which is 2560x1440 pixels. It’s a big jump resolution wise but not much if you wanted even bigger display. For those who are looking for a phablet like phone with more resolutions, it is a wise idea to wait for the Samsung Galaxy S6 Edge Qatar price. The Samsung Galaxy S5 is quite popular because of its amazing 16-megapixel camera. The upcoming Edge version is expected to feature the IMX240 sensor just like the Samsung Galaxy Note 4 in a 16 or 20 megapixels camera. The front camera has been improved to a 5-megapixel one which is a big jump from the 2-megapixel version. It will be interesting to see how these cameras work once the smartphone is out. The smartphone is expected to sport 64-bit enabled Exynos 7420 Octa-core processor or Snapdragon 810. Samsung has decided to eliminate the 16GB version so the new storage variants will be 32, 64 and 128GB. 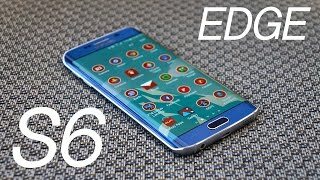 If you are looking for a smartphone with better camera and specs, you can think about checking the Samsung Galaxy S6 Edge release date Qatar. It’s quite difficult to find a smartphone nowadays that can give you more than 1 day of battery life. The upcoming one is also not expected to solve any problem if you don’t like the Ultra Power Saving Mode feature. However, it’s expected to include a feature that will recharge a major percent of the phone in just one minute. Other notable features are: 4GB of RAM and Android 5.0 operating system. We have to wait for the Samsung Galaxy S6 Edge release date Qatar to see how the battery works in real life. 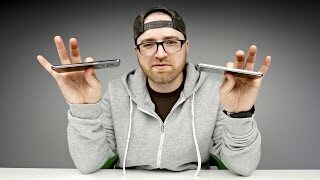 Is The Samsung Galaxy S6 Edge Worth It? Price has decreased 4% from QAR 992 on 2018-08-12 to QAR 949 today.